‘Gourds’ are just one line on the global vegetable crop list of the Access to Seeds Index. This single description actually covers a very diverse and very ancient group of vegetables that are cultivated and marketed by smallholder farmers throughout Index countries. 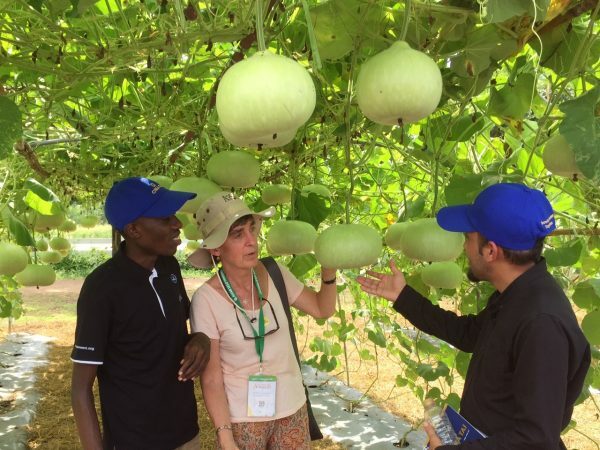 During the field trip of the Asia-Pacific Seed Association meeting (APSA) in November 2017 in Thailand, Chia Tai Seeds, the oldest vegetable seed company of Thailand, demonstrated its diverse portfolio of gourds. Bitter, bottle, wax, snake and sponge gourd varieties were on display. Gourds are important crops in home gardens throughout South and Southeast Asia and provide significant dietary nutrients such as vitamin A and C, iron and calcium. Chia Tai Seeds is the founder company within the Charoen Pokphand Group that also includes a maize breeding unit. The Charoen Pokphand Group is on the list of companies to be assessed by the Access to Seeds Index as part of the 2018 Regional Index for South & Southeast Asia.